Just In: Fire guts FAAN headquarters in Lagos – Royal Times of Nigeria. 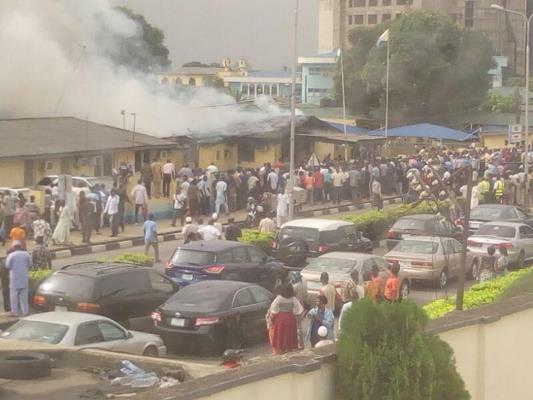 The headquarters of Federal Airports Authority of Nigeria, FAAN is currently on fire. According to an official of the National Union of Air Transport Employees, NUATE, the Audit unit of FAAN was heavily affected by the fire. As at time of filing the report, operatives of the Fire Service are battling to contain the fire incident.